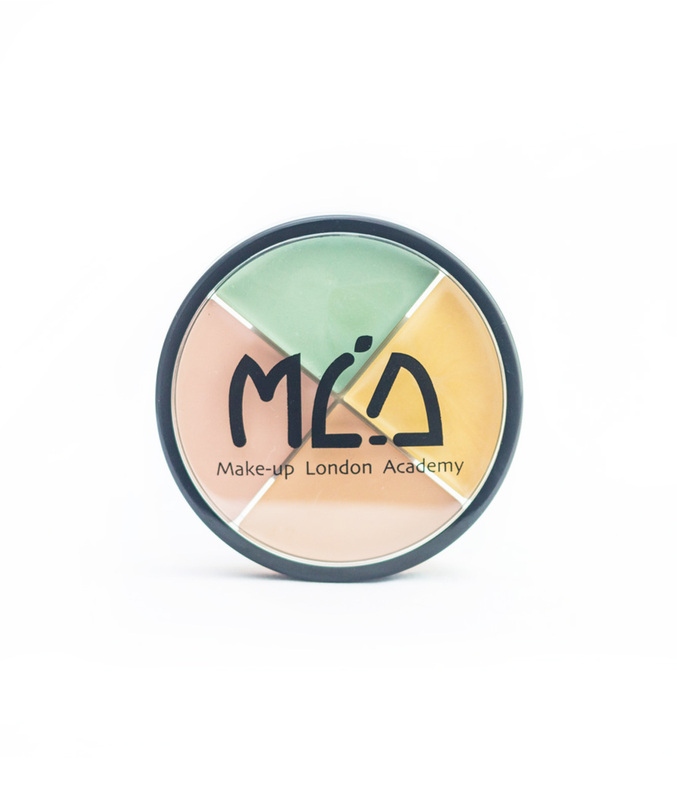 The MLA Corrector Quad contains four creamy hues to conceal and correct any flaws. These lightweight, yet pigmented concealers can be used under the eye area as well as the entire face to create an even, flawless finish. Yellow – Cancels out purple undertones seen in under-eye dark circles. Mint – Conceals redness that may be caused by blemishes, acne or Rosacea. Pink – Good for fair skin. Also used to hide dark circles. Light brown – Better for olive or darker skin tones. Can be used to hide freckles, sunspots and scars or alternatively can be used for contouring.